When I sat down with “Halt and Catch Fire” showrunner Jonathan Lisco at the TCA Press Tour this January, I couldn’t help but tell him about some of the research I’d done in preparing for our interview: talking to my parents. “Halt and Catch Fire” chronicles the rise of Texas’ “Silicon Prarie” computer industry in the 1980s, through the eyes of its eclectic cast of characters; my parents were both Silicon Prarie computer engineers during that time period and were able to give me some insider knowledge about how very well the show captures the time and place. 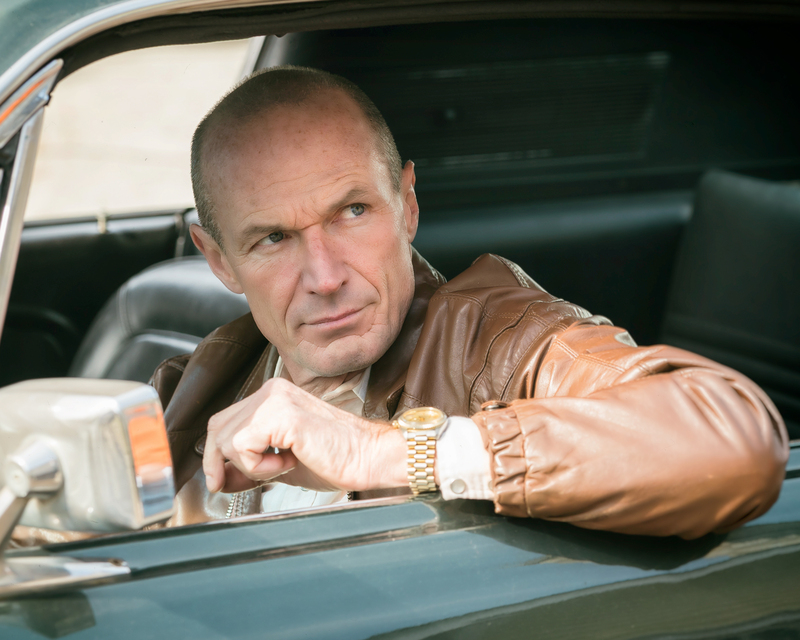 READ MORE: SXSW: Is AMC’s New Drama ‘Halt and Catch Fire’ the Network’s Next ‘Mad Men’? Lisco credited this to both technical advisors Bill Lowden and Carl Ledbetter, as well as the show’s co-creator Chris Cantwell’s similar background. (Cantwell’s father also worked in Silicon Prairie as a software salesman.) But with a show like “Halt,” the details are important, but the characters are what really matter. Below, Lisco reveals what a cop show and a show about computer nerds have in common, teases whether we’ll ever see Bill Gates or Steve Jobs depicted on screen and why Joe’s (Lee Pace) “fluid sexuality” doesn’t qualify as bi-erasure. So I wanted to start off by asking how you dug into the research, because the show tackles really big internal issues, like the shift from hardware to software within the industry during that time. Well, we did a lot of research. We know things that I think your average viewer wouldn’t even know — like the Check Stop is the restaurant between Austin and Dallas. We try to pepper the show with that as much as possible, but sometimes that verisimilitude can get a little top-heavy. What we’re really trying to do is write about characters’ dramas and not necessarily render the verisimilitude of the time and place. That’s an aspect of the show but not our main concern. What do you feel like those details give you as a storyteller? Credibility. Authenticity. If you’re taken out of an episode of television by the fact that you think it’s fake, then you’re not paying attention to the dramatic storylines. So you definitely have to pepper the show with all sorts of real issues — like when Donna went in with Hunt and talked about the computer that Texas Instruments was building. We created an alt-history to that, in that her comments in that meeting were the things that essentially made TI decide to get out of the personal computer business at that time. We dreamed that up, but it is based on fact. It is based on the fact that they actually got out of the business because their computer was not working for them. So we do the research and then we view it through the prism of our characters, and we inject our characters’ points-of-view into it to make it live. Going into the characters, I was really interested that, in theory, Joe is the star of the show. Joe is our protagonist. You look at the poster and you’re like, “Oh yeah, the attractive white man in his mid-30s.” But in actual fact, he’s such an out-there, extreme character. How do you see Joe in that context? One thing I’d like to mention to you is, Season 1 is going to be a Joe that’s very different from Season 2. The Season 2 Joe is going to be, in some ways, looking for redemption. And he’s going to be in search of redemption through a certain type of penance. I think what’s going to happen in Season 2 is that Joe’s going to look for what we saw in Season 1: Flashes of his authentic self. In Season 1, he sometimes seemed like a Machiavellian strategist — calculating. But he’s going to realize that that didn’t get him anywhere. He’s going to realize that it was a pyrrhic victory for him and he wound up burning his own creation to the ground. Whether strategically or from a place of real sincerity, he’s going to realize that he has to get in touch with his more authentic persona to stay open and ready and receptive when the next idea comes to him, he’s ready to put it into practice. Was that an element you saw being a big part of Season 2 when you were writing Season 1? Or is that a reaction to Season 1? One element you have to talk about when you talk about Joe’s masks is the character’s sexuality. It’s something that gets dropped in and comes back a little later subtly. How much of an element is that in Season 2? First of all, that was not dropped in. I don’t mean to be defensive. I just want to react because it’s funny the way that worked. That endeared us to some viewers who have never let go in an intense way and think that the architecture of his fluid sexuality is one of the most interesting parts of the show. Other viewers saw that and said, “Oh wow, I had no idea this was about a gay character or a bisexual character.” And it is not. It is neither. It is about his complexity, and about the fact that at that point, when backed into a corner, he will — not to be glib — run any program because he needs to get out of that. And then when they saw Episode 7 of last season, and they saw he’d actually had a lover named Simon back in the day who deeply influenced him on a soul-deep level, it made that first move authentic. It was part of our roadmap; it wasn’t something that we did accidentally. In Season 2, we’re not going to abandon that aspect of his character. It will definitely be there. But he will have made life choices and find himself in circumstances that I think will be very surprising to the audience. Friends of mine are bisexual, identify very prominently as bi, and get frustrated by the idea of “fluid sexuality.” It’s a concept they refer to as “bi-erasure,” the elimination of bisexuality as a sexual identity. Is that a criticism you’ve heard? It’s not a criticism I’ve heard, but I think it’s a totally valid one. Although I would just say that it sort of cuts against the grain of what we’re attempting to achieve. I would say to them, with great respect, that the whole point of creating a character like this is to explode categories and labels. It doesn’t disappoint me, but it’s of great interest to me that they find that it’s actually hurting their categorization. I think because they’ve had to fight for that categorization and the respect that’s attendant to it — which, people in this business and from the general populous, they may have a strong opinion about that, which I greatly respect. But our view is not to obliterate categories, but to make the statement that those categories are not as essential as we may think. I was once personally asked how I view sexuality, and honestly, I don’t think of it as a straight line. This is my personal view, speaking as Jon Lisco. I view it as more of a circle. So there are points on that circle. And for me, there’s a little less rigidity built into sexuality. I think if many people stepped up to the plate and were honest with themselves, they might actually agree. What’s key to you in terms of coming in to run a show that you didn’t create? What do you look for? I thank you so much for that question. Honestly, when I was first presented with the show, in all candor I wasn’t sure I was the person to run it. I read it and I thought it was terrific on the page, but I was not inherently a technophile. I was just coming off of running “Southland,” and I’m not a cop either, but I could tap into the stakes of that show. So I said to AMC, I said, “Are there going to be enough stakes in the bits and the bytes?” They, to their credit, said, “It can’t be about the bits and the bytes. That’s why we want you to run it, because you want you to go deep with character. We want you to create those stakes.” I said, “Okay!” That was one component. The second component was meeting the two creators, Chris Cantwell and Chris Rogers, whom I fell pretty much immediately head-over-heels with, and that I knew that I was simpatico with creatively. Because if you get into a situation where the creators are actually more interested in the technology, which is a totally valid position, and you come in and say, “Well, I’m not. I want to run to the spirit of the truth not the absolute truth about that,” you could have a terrible ride together. You could constantly be in conflict. But I will say that from day one, we’ve been totally on the same page with what we wanted to achieve. Our creative disagreements, which we of course have, are based out of great respect and out of that crucible comes the best option — the better work. So with the people and the network on-board and the ability to do the show the way I saw it, I felt like it was a great thing to try and do. Because immediately when you hear about it, “Oh it’s going to be about the coining of the PC,” It doesn’t immediately blow your dramatic hair back. So you’ve got to look for ways to make it about the people. You have to look for ways to push that technology in the background, or more importantly, make the technology link to something emotional or psychopathological or something in the character’s DNA that makes it intriguing. That’s such a great point. Interestingly, his arc I feel is the arc of a lot of people of that generation watching the show. He goes from a person who doesn’t understand why they’d ever get in this business to seeing the activated quality in the engineers who are starting to do it. He falls for Cameron in a fatherly way. He sees how brilliant she is but also, in some ways, how lost she is. He sees what they’re putting into the box and how they’re baking all of their hopes and fears into this dream. He is genuinely activated by it, and he is inspired by it, and then by the end he ends up stealing money to support it because he falls so deeply in love with what with they’re doing. I would argue it’s not just the box that he’s falling in love with. It’s the people who are making the box, who are so activated and passionate. It’s intoxicating for him. He wants to live that way. And Cameron is talking about connection and a lot of things that would make up the Internet. Is this going to be a show that becomes about an industry and then about a movement? Or is it already about a movement? That’s one of the best questions I’ve ever heard. That’s a terrific question. We’re not political writers and we’re not social engineers. We’re not trying to write about a movement, but I think you asked that question, if I may be so bold, because we’re looking at it from 2015, and you see it as a movement. What we have to be careful about is to guard our characters from being too self-conscious about knowing that the hacker ethos is a movement or that the Silicon Valley-style incubator is a movement or a force. They can’t be too self-conscious as to seem too far-sighted or brilliant about the future. On the other hand, they’re in the business of trying to predict the future, so they’re grasping at it. So I would say the truth is somewhere in the middle. Absolutely, and here’s a good example: Part of the focus of Season 2 is going to be on Mutiny. We’re going to play fair with the audience. [Cameron] created this company, she said to Donna in the tenth episode of last season, “You’re going to get a software program in the mail. You’re going to be able to play online videogames against other people,” as juxtaposed to cartridge games that were being played on the Atari, or the Commodore 64, at the time. So Donna’s going to be working at that company, and that is also not only online gaming, but the very, very beginning of chat. So we’re writing these stories and we keep calling it “chat.” Well guess what? They didn’t really call it “chat” back then. They called it “messaging” and all sorts of things. The lexicon we use in the story has to be changed pretty radically, because if our characters are saying “chat”— they can say the word “chat,” like “let’s chat online,” but they can’t say it the way we say it today. So yes, we’re often having to pull back on our characters being too far-sighted. It’s a really interesting dynamic of attention, because you want to make them more brilliant than your average bear. That’s the whole point, that’s why you’re watching this show. But we also want to play with the idea that they might not be visionaries. Right? We have to be careful about how smart they are about the future and about predicting a proto-Internet. The WGN America series “Manhattan” has a similar challenge to you because they are using fictional characters to create history. There’s an occasional interruption by Oppenheimer and everything, but he’s not the protagonist. Which leads me to ask, will there be Steve Jobs in Season 2? Not that we want to blow any storyline that we might want to have coming down the pipe, but we were always making jokes in the writers’ room about that storyline where one of our characters is following Steve Jobs around, but you only see his napkin or you only see the back of his head. It felt like a joke and a little glib. We want to keep it in our world and in our parameters. We probably won’t pull anything like that in the future. No, I wouldn’t say that. I think they’ll be certainly referenced, and if we find the right organic time to introduce them. For example, if one of our companies ever becomes big enough where they would have a meeting with Bill Gates, the meeting and the idea of the meeting could be a dramatic engine for drama. But would you show the meeting? I don’t know. I genuinely don’t. When we are breaking stories, and I’m the guide in that process, I have a sort of way of assessing whether or not this is working for me. Does it feel earned? Does it feel organic? So nothing is on the table, but we have no plans to do it in the future. What have you found really helpful in making people care about a subject that might be completely alien to them? I’ll tell you what one of my mantras is. My writers are so sick of hearing this, but even when I was doing “Southland,” I had done some cop shows prior to “Southland,” so people asked me why I would want to do a cop show. “Aren’t you sick of cop stuff?” I said, “I am a little sick of cop stuff. But I’m not sick of human stuff.” If you make the A story in a cop show what concretely happens in a cop plot, then I think you’re dead in the water. But if you make the A story in a cop show our characters’ reactions to what happens in the cop story, then I think you’re golden, because then you have an infinity of choices. Because people are infinitely complex. It’s the same in this show. If you make the technology the specific storyline, I think you run the risk of being too dry, and alienating some people. But if you make the technology storyline a thread in the episode — if you make the real story our characters’ passion or our characters’ psychopathology or our characters’ hopes and dreams or desire for approval or desire for legacy, as attached to the technology storyline — I think you can go on forever. 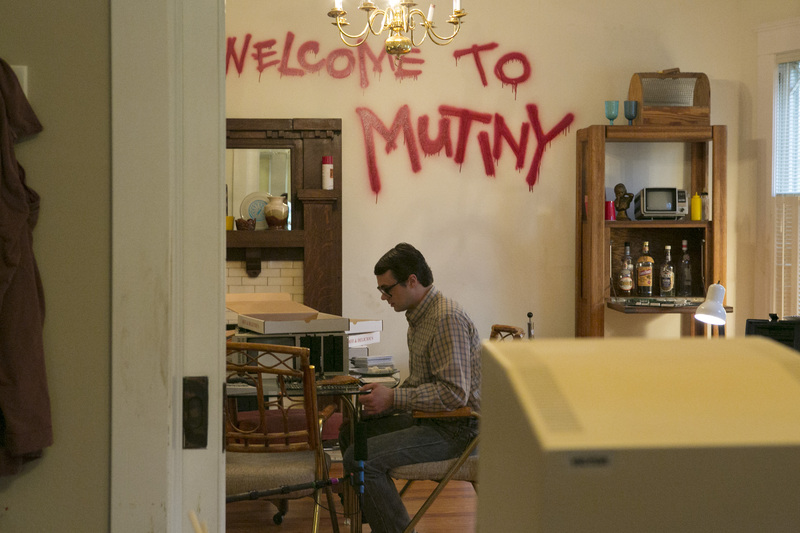 “Halt and Catch Fire” Season 2 premieres Sunday at 10pm on AMC.